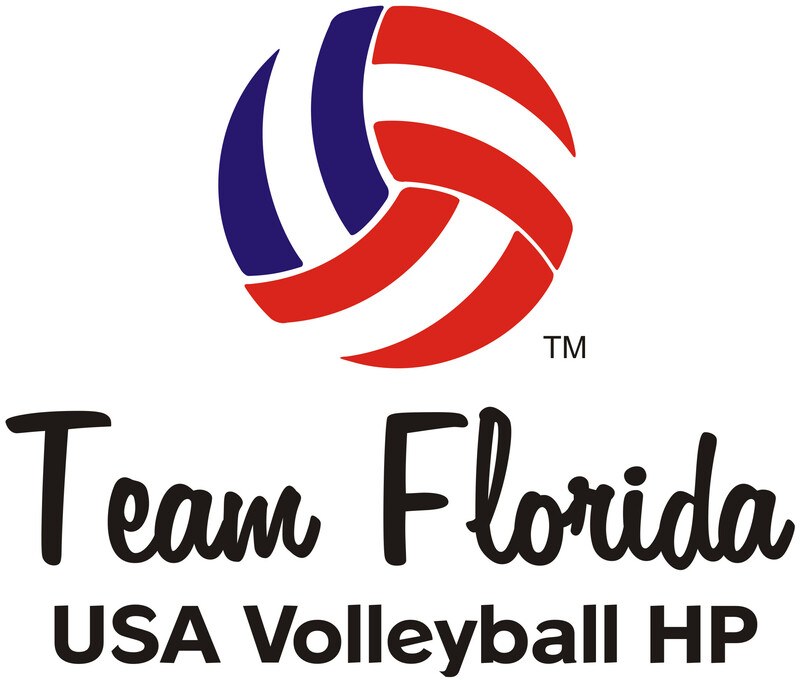 Five out of eight Team Florida High Performance volleyball teams earn medals at the 2016 USA Volleyball HP Championships in Ft. Lauderdale, FL; this is the most in the program’s history. The Florida Region is proud to announce that five out of their eight Team Florida Indoor HP All-Star teams brought home medals from the 2016 USA HP Championships in Ft. Lauderdale, FL. With only seven divisions in the tournament, Team Florida medaled in almost all of them. The three (3) gold medals went to the Women International Junior (ages 17-19), Girls’ International Youth (ages 15 & 16) and Girls’ National Select Red (ages 14 and under) teams. This is the fourth (4th) year in a row that Team Florida has taken the gold medal in the Girls’ National Select division. This is also the first time in the program’s history that all boys’ teams medaled in their respective divisions. The silver medal went to the Boys’ National Youth (ages 16 & 17) team, while the bronze medal went to the Boys’ National Select (ages 15 and under) team. High Performance has made a positive impact on the Florida Region by bringing all-star athletes, college coaches and club volleyball coaches together from all areas of the state. Team Florida was sponsored and outfitted by ASICS and 1st Place Volleyball, making this the 11th year in a row. Every year, the USA HP Championships are held to showcase some of the best athletes from across the globe. They come together to compete against one another in a week long tournament. Team Florida was represented by eight teams this year; six girls’ teams and two boys’ teams. The event was held in Ft. Lauderdale, FL at the Broward County Convention Center from July 19th – 23rd. There were 15 courts with 112 teams present from six different countries; the U.S., Australia, Puerto Rico, Dominican Republic, Canada and New Zealand. USA Volleyball is the National Governing Body (NGB) for the sport of volleyball in the United States and is recognized by the Federation Internationale de Volleyball (FIVB) and the United States Olympic Committee (USOC). Additional information on USA Volleyball can be found at: http://www.USAVolleyball.org. The Florida Region of USA Volleyball is a 501c3 non-profit that began operations in the 1960’s and was officially incorporated in 1982 to promote the sport of volleyball and to create competitive playing opportunities for volleyball enthusiasts of all ages throughout the State of Florida. The Florida Region is one of the 40 regional volleyball associations under the umbrella of USA Volleyball and currently serves approximately 14,000 members. Indoor and outdoor programming is available for adults, juniors, coaches and officials. The Florida Region of USA Volleyball headquarters is located in Eustis, FL. Additional information on the Florida Region can be found at http://www.FloridaVolleyball.org.